Format: Paperback 1#, Ebook 2# 3#. Rating: 4/5 Book 1, 3/5 Book 2, 3/5 Book 3. 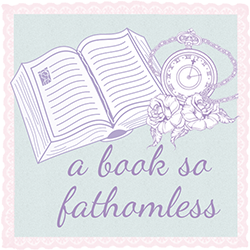 Hello Readers of Paranormal Romance. 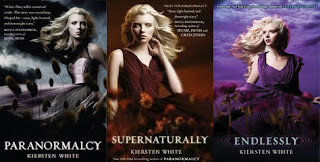 So with my amazing present gift card stash from my birthday party, I had a chance to buy Paranormalcy by Kiersten White, which I had wanted for a long time because I had heard so much good things about it. First of all, it is such a relief to read a relaxing and hilarious fast pace book after the heavy dystopian book “Insurgent,” by Veronica Roth. Kiersten White has the humour going for her, and it is the probably the only book that seemed closer to teenage language. Pretty Much: I would say the things that Evelyn said. And it was HILARIOUS. I’m glad Evie wasn’t the strong, trained in everything, Archery winning, sword fighting Heroine that Young Adult books are encouraging these days. I’m not saying I don’t like them, I love them, but it was refreshing to see someone different that teenagers could relate to with choices. I could truly see her as one of my friends. She was just so realistic. I’ve read some of the reviews about this book that said that Evie was too girly girl for them to finish the book. If you think just loving pink makes you girly girl, then I don’t know what is wrong with you. She’s got a pink Taser people. I WANT A PINK TASER. White added little quirks that reminded me what I do in real life. For example, their continuous watching and obsession of Easton Heights through all of the three books was one of my favourite quirks because it reminds me with my obsessions with tv shows. Her connection to her best friend Lish and their little friendship gestures was quite endearing, even after a unfortunate event. Though I do wish we got to see more of her. Lend: Lend lost his interest in me after the first book. He was such an intriguing character in the first book, and then it just became a cheesy paranormal romance after that. The way White created his ability was quite amazing in the first book. But there were times in the other books that I completely forgot that the power existed. Mostly in the second book. Jack: Jack joins us in the second book. And I remember thinking, “How can anyone like him!? He is so annoying.” But I guess you learn to love him in the third book. Though what he did in the second book was quite shocking. I assumed him to be a love interest, but it didn’t really work out that way. Nevertheless, at points, I was totally fan girling. And if you see me fan girling then you know it’s quite atrocious because it kind of looks like a dying seal. And saying that, I really disliked the last book compared to the first book. The series has so much potential at the start. Most of the lines left me disconnected like, “What-where-are we? Bleep is going on?” It just could’ve been so much better. Could’ve achieved a better plot as well. It wasn’t epic like I thought it would be. I just didn’t feel the plot as much as I felt the characters. I really don’t see how each title is supposed to adapt to each book. It just seems like she found three rhyming words and slashed them together as book titles that relate to it being in the paranormal genre. Beautiful covers, though I did not imagine Evie to look like that. So overall. It's a good relaxing series to read. I loved this book. Kiersten White writes with humor and cheek and this book ended the series perfectly. The MC is likable, clever, brave, and "real."